Stay tuned! Each class is voting from a select list of 24 songs, picked by 24 teachers and staff in the McSherrystown Campus. Each class will have their #1 song. Each #1 song from respective classes (4A&B, 5A, 5B, 5C, etc) will go against each other for the #1 overall song from each grade. These 5 #1 songs from Grades 4,5,6,7 8 will go against each other for the school's #1 SONG! Both students and teachers will submit who they think chose each of the 24 songs. Grades 4 & 5: APRIL 2: Complete "My Favorite Song" from Mary Poppins. Due Wednesday, 4/3 in your classroom. Your homeroom teacher will collect and pass to me. Grade 8: both 3rd and 4th period classes: Music/Tech/ILA project assigned March 28 in class. Complete details and grading rubric is posted in your respective music classrooms. The LYRIC portion of the project is DUE APRIL 11. The 2nd portion, the written paragraphs, is due on April 25. The rubric and instructions are attached to both 'parts' of this project: LYRICS/PARAGRAPHS. No explicit or "clean' version of songs are acceptable in a Catholic school. Points lost for late submission. Total Music score is 100 points: 40 for lyrics/60 for the paragraphs. Grade 6A & 6B: My Favorite Instrument Project: assigned today; Due APRIL 26 in class. See the GOOGLE MUSIC CLASSROOM for the detailed directions and the grading RUBRIC. Instruements choices completed today in homerooms. Project consists of a written report, a poster with detailed instructions, and the presentation to the class with a sound link at the end of the written report. Grade 6A & B: HOMEWORK: Worksheets on Beauty and the Beast. Complete and hand in on Tuesday, 3/26. complete the worksheet on Beauty and the Beast. The answers to the 12 questions are found in the GOOGLE SLIDES file uploaded to your Music Classroom. DUE FRIDAY, March 22. DUE, presentations in class: March 28. This is what is posted in each respective GOOGLE MUSIC CLASSROOM. Please ask your child to show you the files which also contain the grading rubric. These cannot be posted in a public internet page. 1. One file contains the composer list and the composer you chose for the project. 2. The other file is several pages. One page presents the GOAL with questions to answer. Please follow these carefully. 3. Bottom half of that page has the GUIDELINES and CHOICE: Poster, Report, Power Point. 4. LAST LINE is IMPORTANT: Use 3 sources for your information and ONLY ONE may be the internet. (NO WIKIPEDIA). Online libraries; Publice Library; Books. 6. When students present their project, use the "Composer Presentation Notes" page as a sample of information you need to write down: Composer's name, Music era (Time period: we will discuss in class); you will note TWO facts, not ONE. 7. Sound files: You may bring on a flash drive; you may upload the file to the classroom; you may bring in a CD. GRADES 7 & 8: Music tests were sent home on Monday, February 25. Grades were not entered into the portal. Tests are to be signed and students are to self correct wrong answers. Information for each answer should be in their Listening Journal Flip Folders. This is essentially now a "TAKE HOME" test, with potential for an increase in their grade. Signed and corrected tests are due TUESDAY, February 26. February 7: Music 8/4th Period: Mary J. Blige: Listen to one of her "9" award winning songs. Then write a paragraph on that song: DUE FEBRUARY 14. February 7: MUSIC 8/3rd period: Mary J. Blige: Listen to one of her "9" grammy award winning songs and then write a paragraph on that song: WAS DUE TODAY, 2/7. Please turn in on FRIDAY, 2/8 to avoid more lost points. February 7: Grades 7A, 7B, 8/3rd period and 8/4th period: Study for test on Madrigals and Motets. Refer to all flip pages and notes in your Listening Journals. I will post listening links in your respective Google music classrooms. More details also posted in each classroom. February 5: Grade 5A, 5B, 5C: There is a test on "Peter and the Wolf" next Tuesday, 2/12/19. Please review ALL worksheets and your notes. There is a LINK posted in your Music Classroom so you can listen to the piece again and ALL the themes. February 1: Grade 6A , 6B: Students should be practicing "Gently Sleep" for playoffs in class. Grades 7 & 8: Month of January: review information in Listening Journals after each class on the Madrigal/Motets that we listened to. There will be a final tet when we have covered all 6 pieces. November 27: Grade 4: Memorized for next class: Silver Bells; Pinata: Both English and Spanish: Here We Come a Wassailing: all verses; Pat a Pan: all verses; Fum Fum Fum: English words. We add INSTRUMENTS next class! 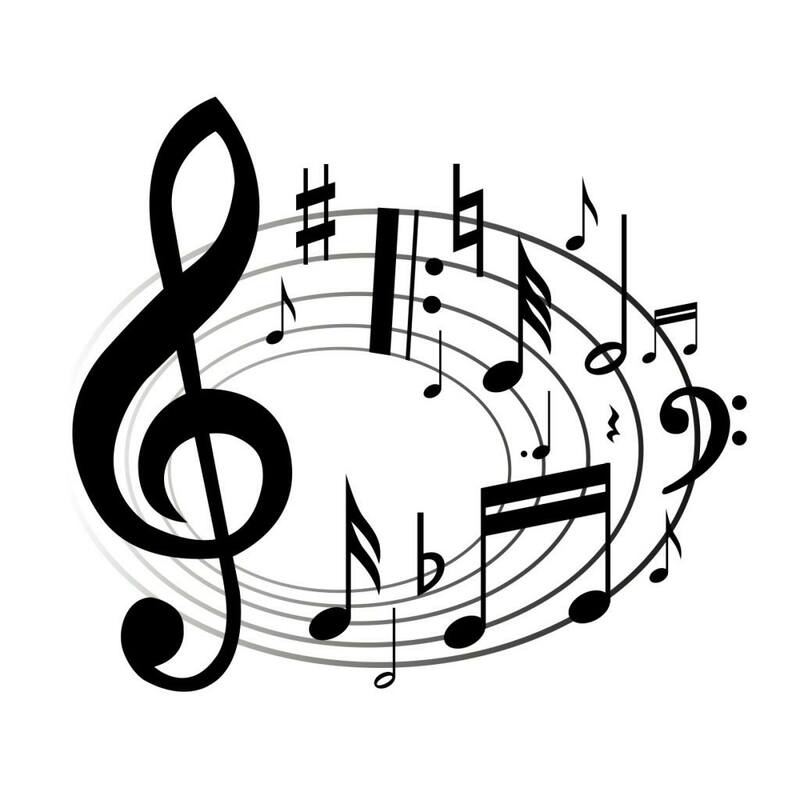 November 27: Grade 5 Music is posted in each of the 5th grade Music Google Classrooms. Practice with the vocal tracks and then, with the accompaniment tracks. No papers for the 1st four songs next week. November 13: Grade 4: Christmas Show: 1. Silver Bells: all memorized. 2. Pinata: English and Spanish memorized. 3. Look over the last 3 songs: verses 1 & 2. November 13: Grade 5: Songs for the Christmas Show: ALL words memorized for: Come, Light of the World/Mary's Song of Praise/I Will Name him Jesus. Work hard on Light in the Manger. GOOGLE CLASSROOM will have the songs posted so you can sing along at home. Mrs. Garman will have you join the Music Classroom NEXT WEEK. November 9: Grade 6: Continue to practice Boar's Head Carol on the recorder. Do not write the note names in. Practice reading them in rhythm. Also learn word to the Boar's Head Carol, learning your respective part: 1,2,3. Begin to study words to "Go Tell It On the Mountain". Check GOOGLE classroom for more details and a posting of a play along part for the recorder piece! November 8: Grade 7 & 8: Study for test on Thursday, November 15. Please refer to homework assigned on November 1. Also refer to GOOGLE MUSIC CLASSROOM. ***NO listening on this test! November 2: Students in Grade 6 are to write the words to the National Anthem one time. You may not type them. DUE: Friday, November 2 in class. All practice reading the notes to the Recorder Version of "Boar's Head Carol".